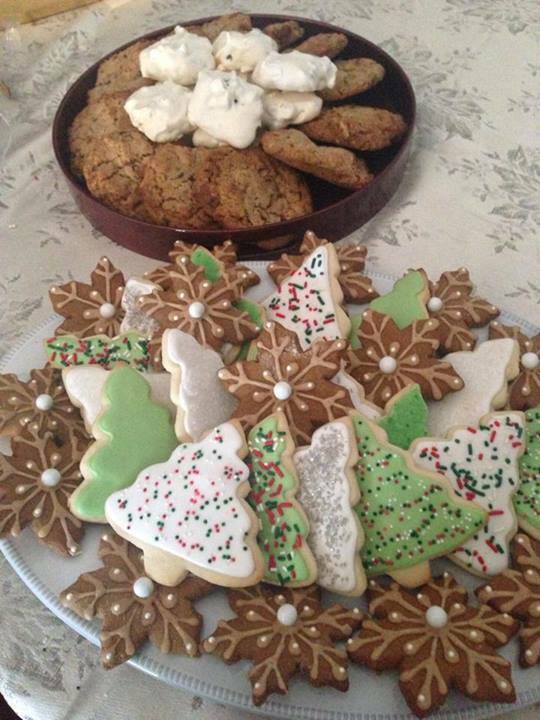 For Christmas 2013, my cookie efforts all went towards my work cookie exchange. Basically, everyone brings in a bunch of cookies, then brings home everyone else’s cookies. Unfortunately, that means I did not get to eat nearly as many of these as I might have liked. The top tray has Forgotten Cookies and Compost Cookies via Momofuku Milk Bar. On the bottom are sugar cookie trees and gingerbread snowflakes with Biscoff icing (an on-the-fly kind of recipe that I think worked out pretty well!!). Everything was a hit at the office, but I have to say, those Compost cookies? Best cookies I’ve ever baked. I do not say that lightly.